099 of 106. 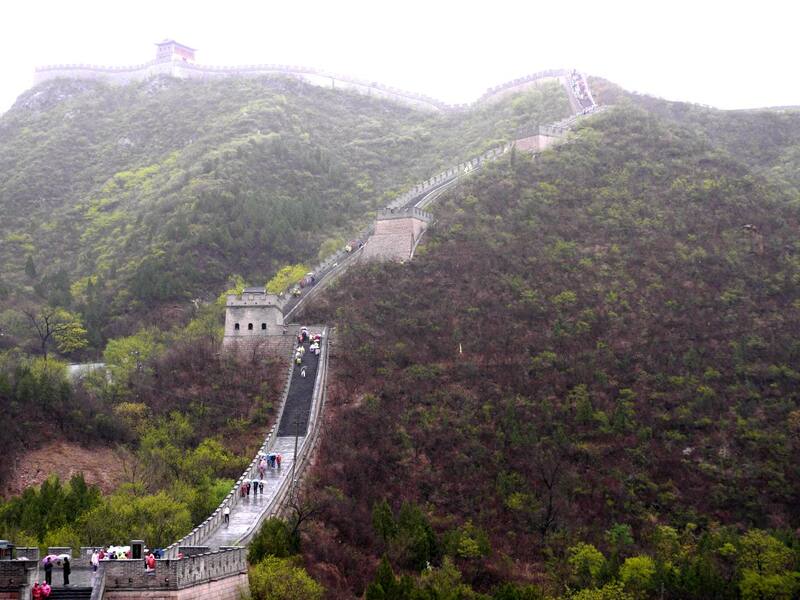 The stairs up to The Great Wall at Badaling near Beijing. It was cold, wet, and very windy. Several of our group make the climb anyway. Michiko and I said "We climbed it 12 years ago. We'll wait here this time". Proof follows next.